Today was Day #4 of Chocolate and Pistachio Theme Week. I'm in awe of entrepreneurs that jump through all the hoops necessary to open a business. So, it's always exciting to visit a new business. 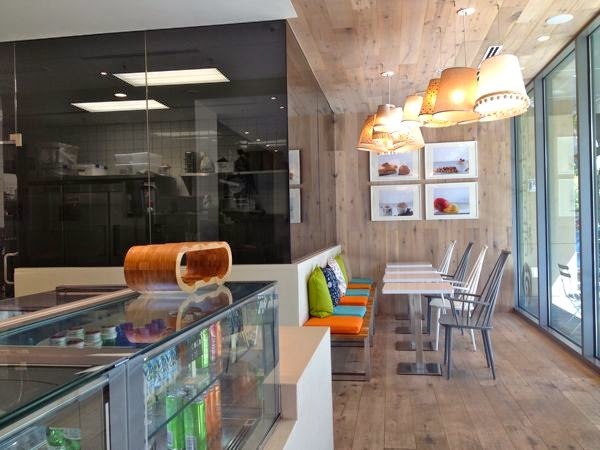 Gelataio, in downtown Palo Alto, CA, opened five weeks ago. I walked into a clean, modern, attractive interior and met co-founder Christianne Mares. I was hoping to order a cup scoop of Pistachio gelato and a scoop of Chocolate gelato. 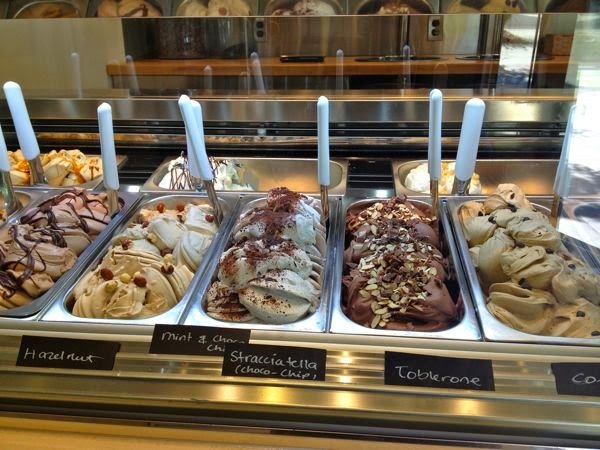 Sadly, there was no freshly made Pistachio gelato on the menu today. Happily, there was one remaining Pistachio Mini Pop, and I sampled this with a Chocolate Mini Pop instead. 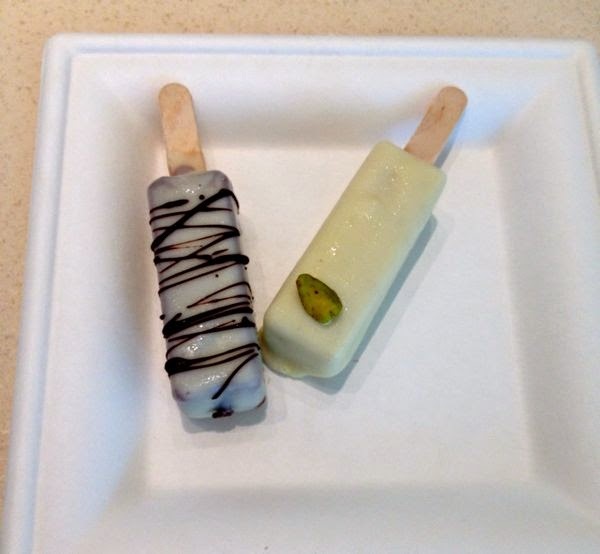 Both were slim white chocolate covered rectangles of gelato on a stick. The Pistachio Pop was a vision in white, and adorned with a single green nut. My favorite, was the Chocolate Pop, drizzled with chocolate. The dark chocolate gelato filling was smooth, creamy and flavorful.